After a campus-wide election for the new executive officers of the Student Government Association, the results were finalized on Monday, April 1 with over 1,500 student votes cast. 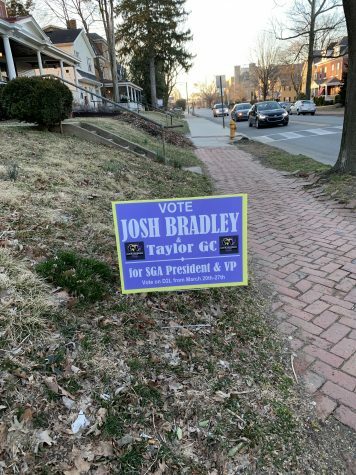 Joshua Bradley, a third-year accounting major, will be SGA’s new president, governing alongside vice president Taylor Gibson-Campbell. Campbell is a second-year political science major. 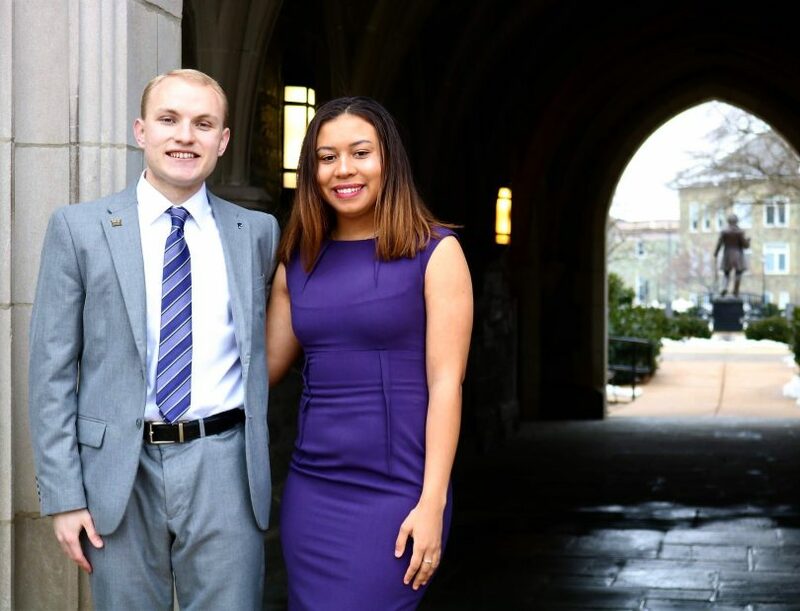 Both officers are part of the West Chester University Honors College and have served other positions in SGA in previous years. Monica Claghorn, a second-year accounting and finance major, will serve as the board’s new treasurer. The secretary position will be taken up by Mario Ramirez, a second-year music education major. And, finally, SGA’s parliamentarian position will be filled by Duncan Espenshade, a third-year political science major. According to the West Chester University SGA Mission Page, the Student Government Association works to “provide a unified and responsible government that will promote the welfare and growth of students, and constantly work in the benefit of all students.” SGA’s weekly general assembly meetings are held in Sykes Student Union building in room 115 at 7:15 every Tuesday night, with each meeting open to the public. Monthly “Council of Organizations” meetings are held for representatives of the student organizations on campus and require mandatory attendance of at least one representative of each student organization each month. These meetings are held to facilitate feedback and monthly updates on the operation and governing of student organizations. Joshua Bradley talked about his goal as the new president of SGA and what he hopes to achieve during his time as president. Joshua also commented on the disconnect that he believes exists among the student organizations around campus. As president, he hopes to bring more organizations together to help them collaborate as a more focused unit. He also emphasized wanting students to be able to find their place on campus. He also spoke about the joint-campaign with vice-president elect Taylor Gibson-Campell, and how their similar visions allowed them to work together. In encouraging students to vote, Joshua spoke of the low student engagement that is typically seen in SGA elections. He was inspired to join SGA as a freshman in college. Taylor Gibson-Campell spoke about her platform running for vice president and what she plans to do moving forward. Taylor also spoke about reaching out to Greek life organizations, since she believes they are not included in the student body. She was inspired to join SGA as a freshman when she attended a senator election meeting during her first few weeks at West Chester University. As vice president, Taylor hopes to improve the council of organizations and facilitate stronger collaboration between student organizations on campus. For more information, students can contact the Student Government Association at 610-436-2956, or email them at wcustudentgovernment@gmail.com. Students are encouraged to run for any open senator positions in the SGA. More information on open Senate seats can be found at www.wcupa.edu/_services/STU/sga/getInvolved.